About 10 months ago joined Twitter after listening to the Geeks in Running Shoes podcast. They used to do this thing called the “Twitter Search and Follow” and my interest was peaked to finally looked into Twitter. One of the first people I met was a Teri (@runnerteri). 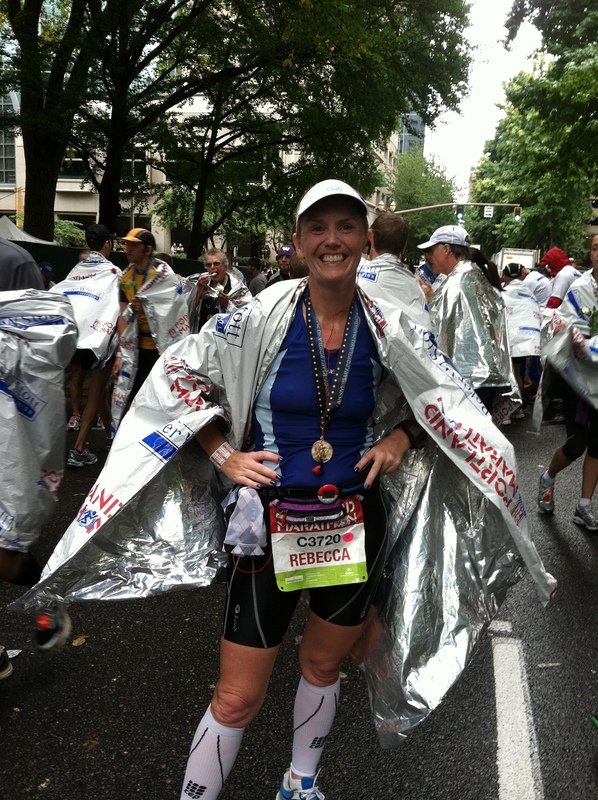 After a few exchanges it turned out that Teri would have been my pacer at the 2010 Portland Marathon had I stayed with the group. After the warm reception from her and a couple other Portland Runners (@julierje, @Sarah430, just to mention a couple), I decided that I needed to come back to Portland to run this marathon again. It wasn’t until that last 6-8 weeks before Portland did I realize that I might be in a position to qualify for Boston. I had said a long time ago that I wanted to do Boston before I was 40, but I had lost sight of it because I just never thought I could run the needed pace for 26.2 miles. But since I picked up triathlon I had made some huge gains in speed and endurance. I ran Portland last year in 4:21 and I had to run sub 3:40 this year to qualify. That was over 1:30 faster per mile! After a couple confidence boosting races (Vineman and the Half Marathon of the Harbors), as well as some very strong support from my running community I finally started thinking this might be possible! So with the hay in the barn, I flew off to Portland to “get it done”. Pre-race was awesome. I met up with Teri, Julie, and Courtney; three of my Twitter/Dailymile Friends. It was great to meet them finally! We even got a quick little run in down by the river on Saturday. Race morning went very smooth. No problems getting up, getting ready, getting fed, and getting to the start. We managed to park right behind my corral which was perfect! Met some really nice people while waiting for the start; two men who were doing all 50 states, and someone else with whom I had a shared friend (small world). Courtney found me in the corral and we waited for the start. As usual I went out a little bit fast but I was feeling great! I needed to run 8:20 minute miles to come in under 3:40 but I really wanted go for 8:15 minute miles to give myself some cushion. I kept looking at my watch and I was running well under 8 minute miles. I had to keep slowing myself down so I would have something left at the end. All was going great until the train. You have to cross several train tracks during the race and I knew that with the pace I was going for I had a very good chance of getting stopped at one. Sure enough, I did. I was stuck there for a good 1:30-2 minutes. I knew that if I bonked later in the run this could be the difference between qualifying or not. Since there was nothing I could do but run the rest of the race I tried not to dwell on it. I felt great for the out and back portion (running 5 miles in row under 8:00 minutes each), but once I made the turn back into NW Portland my quads started hurting. I just kept running, very aware of my pace; trying to run fast but smart. I was also very aware of my nutrition and hydration. I didn’t want to get behind on either of them because that could end my race for me very quickly. I made it up the hill at 16-18 and over the St. John ’s Bridge; quads still hurting but very happy to only have 8 miles left. These next four miles were much harder than they were for me last year. I had really pushed the pace in the beginning and was feeling it now. My legs were heavy and I kept feeling my pace slow. I was not a happy camper at this point. But I was so close to Boston that I decided I was going to push it until I exploded. At 21-22 you start a descent that I thought was going to hurt more than it did. The pain in my quads was going away or the adrenaline/endorphins were taking over. I really didn’t care; I just wanted to be done. I made it over the Broadway bridge that is just under two miles from the finish and started looking for Salmon St. Last year Salmon was much closer (I am sure of it); it felt like an eternity before I got to it and turned up for the finish. I finally got to it, made the last two turns and ran with tears in my eyes across the finish line. Because I had been stopped by the train I had no idea what my time actually was (I hadn’t turned off the auto pause because I didn’t expect to get stopped). Luckily Tara (@frenchiegirl) had been tracking my race and had been tweeting me the time (bless her heart). I tweeted her and asked her to check my finishing time, 3:36:18! I had just Boston qualified! More tears of joy started flowing! I couldn’t believe I had just done it! I couldn’t have done this without the support of my family and friends. There was a lot of training that went into this race, and my family has been patient and understanding with all the time I spend training. I have found a TON of support through my Dailymile/Twitter friends and my Teammates. Honestly, without their support, encouragement and don’t think I would have even tried to do this! They believed in me and encouraged me in ways that have propelled me to believe I can do more than I ever thought possible. **So I asked and they listened and they corrected my time to 3:34:43! The reason it is significant is it gets me more than 5 minutes under my qualifying time which allows me to register for Boston on day earlier than before. I have been having a very bad case of PMS (post marathon syndrome) since the marathon. I need to take a step back and realize that I ran the best race I have ever run and I should be REALLY proud of my accomplishment! I ended up 27/730 for my age group which to me is amazing! Here is the Garmin data from the race as well. And I will NOT be racing that marathon in four weeks. My body is beat! I will run it in preparation for the 50K, but I am shooting for around 4:00 hours instead! Does this medal go with my shirt? I think so! That would be awesome if you guys were out there! Wow! Amazing! Great race report, but better than that great training, great believing in yourself and fantastic execution. I wanna be like you next year. omgosh, I am SOOOOOO proud of you! And impressed! There are no words! 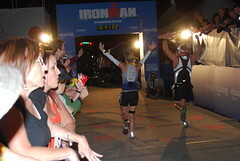 Great race report and recap. So awesome that you BQ’d in your first attempt at it. Hopefully I can qualify in December and we have two of us going to Beantown in 2013. First attempt at BQ, but 6th marathon! Let’s just hope I get in! Wow, that’s incredible! Congratulations! Well deserved. Thanks! 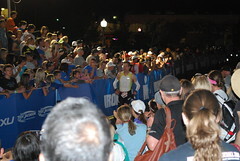 Soon it will be time to focus on IM St. George! Sorry for the delayed reply. I was shocked how much improvement I could make in a year! I swear by cross training and only running 3-4 times per week! great job! I did hear that they would review anyone that got stopped by the trains and possibly take time off the finish time. Glad to see that worked out.